President Barrack Obama is teasing the cat with the laser pointer, and Boehner and the boys are the cat. Even if the cat “catches” the spot, it’s nothing but entertainment for the one holding the pointer. Columnist Kathleen Parker said it on Sunday, but quietly and not until the last couple of paragraphs. But no one is saying it clearly or loudly. 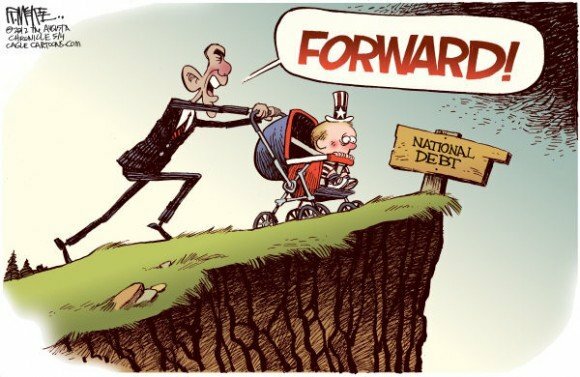 We are going over the fiscal cliff. Obama has everything to gain and nothing to lose. The programs cut most are the ones he would cut anyway. The hits to his programs will hurt but can be recouped during his next term. The cliff will cause tax increases for everyone – more money for his programs and cover for the increases coming with Obamacare. Obama just needs to convince everyone that it’s not his fault. The Republicans get the blame for the cliff and Obamacare’s taxes. It’s a win-win for Obama. Why negotiations? They are the red dot to keep the cat entertained and observers distracted. And it’s working.